If your job requires you to attach small wires to terminal blocks - this is the screwdriver for you! This Screwdriver was designed for use with terminal blocks as found in alarm panels, access control, CCTV, Thermostats, and numerous other devices. Additionally, it is insulated for use on voltages up to 1000V. 1/8" / 3.175mm Tip provides exact fit for terminal block screws. 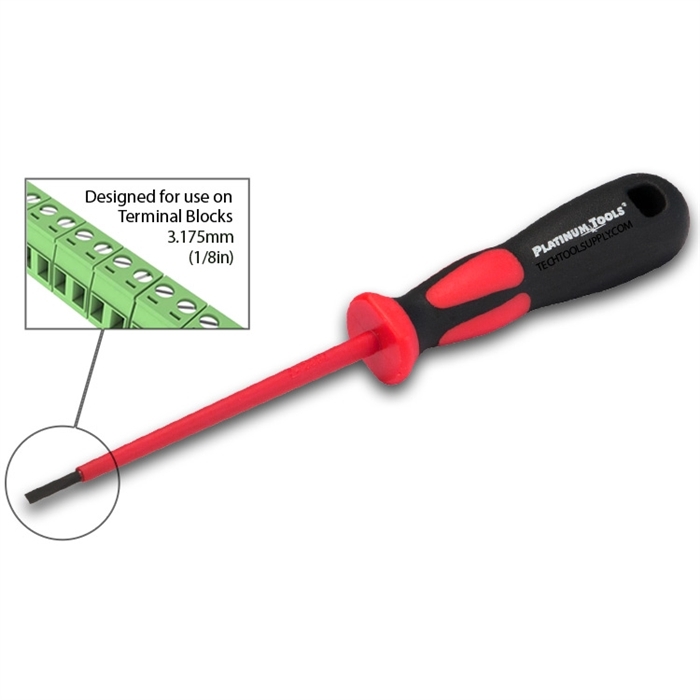 This Terminal Screwdriver pairs nicely with Rexford Tools Ferrule Kit. If you haven't seen RTC's Ferrule kit, have a look!